Breaktime is set to open near Harvard Square this fall. Breaktime, a cafe that will be staffed by homeless youth and young adults, is set to open near Harvard Square this fall. In addition to operating as an eatery, the establishment will offer vocational training, employment, and career mentorship to its employees, according to co-founders Connor Schoen ’21 and Tony Shu ’21. Schoen said that Breaktime has confirmed a location near Harvard, but the team is waiting to announce it to the public. Breaktime will sell its own coffee, and will most likely be offering smoothies, cheesecakes, sandwiches, cookies and brownies, according to Schoen. The cafe will also be partnering with food vendors like Union Square Donuts. The organization is also working to develop vocational training programs with nonprofit organizations and to start a career mentorship program with volunteers experienced in the professional world. Shu said the revenue Breaktime generates will help support the organization’s employees and programming. “We wanted to bring more attention to longer-term solutions to homelessness. One way to address that is through employment and training and mentorship and a supportive and loving network,” Shu said. “What we want to stay away from is isolating employees and purely branding ourselves as the homeless store,” Shu said. 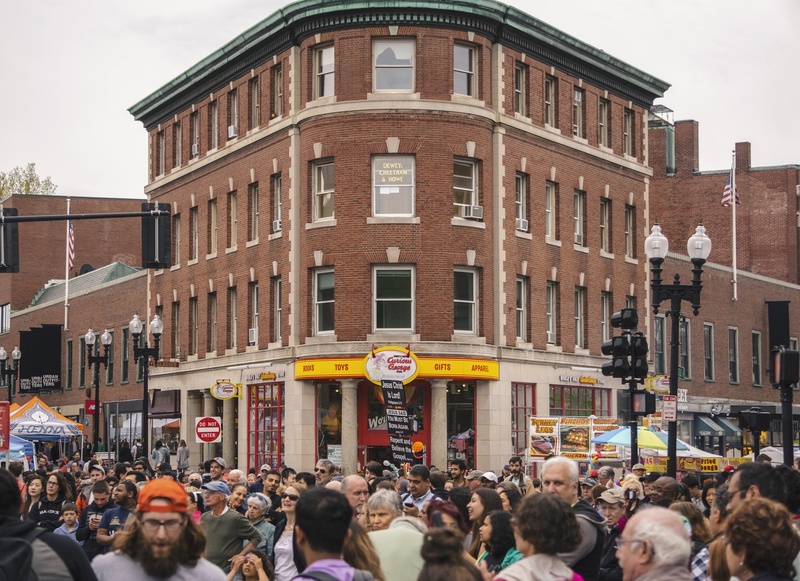 Shu and Schoen said they came up with the idea for Breaktime after speaking with individuals staying at Y2Y, Harvard Square’s youth homeless shelter, earlier this year. These conversations led Shu and Schoen to realize how difficult it can be to find and keep a job while homeless. The two then recruited a team of 10 to develop a website, write grant applications, fundraise, and forge connections with other nonprofit organizations. “We’re calling it our Avengers consulting team,” Schoen said. Schoen and Shu have also started a GoFundMe to cover opening costs and have raised over $3,800 to date. Looking back over the past few months, Schoen noted that, though Breaktime’s mission has stayed constant, the idea of the cafe itself has evolved. The United States Department of Housing and Urban Development reported in the 2017 iteration of its annual homelessness assessment that there were 17,565 homeless individuals in Massachusetts—and that 469 of these were unaccompanied youth under 25.